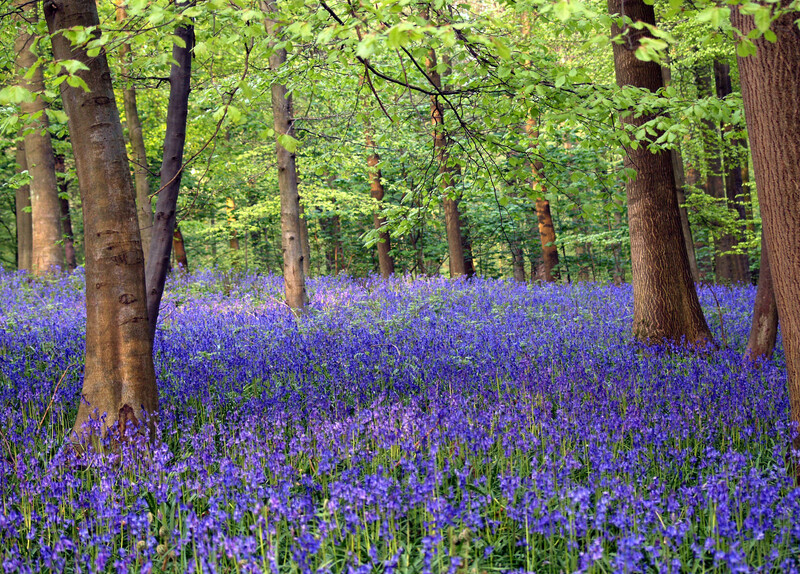 She steps lightly, blithely through deep waves of bluebells, inhaling piercing sweet fragrance, a clean sharp freshness clearing away all cobwebbed thoughts. Invitation to breathe life and hope, new beginnings. Opening herself to joy. Sensing the nearness of His Presence, hearing Him call her name. He takes her hand and guides through a sea of snowdrops, dancing daffodils swaying in the breeze, birdsong heralding the pathway toward a rippling stream. And there He invites her to come close, cupped hands at the ready to scoop out drops of water and drink freely. She gulps until thirst is satiated. Her body coming alive with strength, energy, vibrancy. 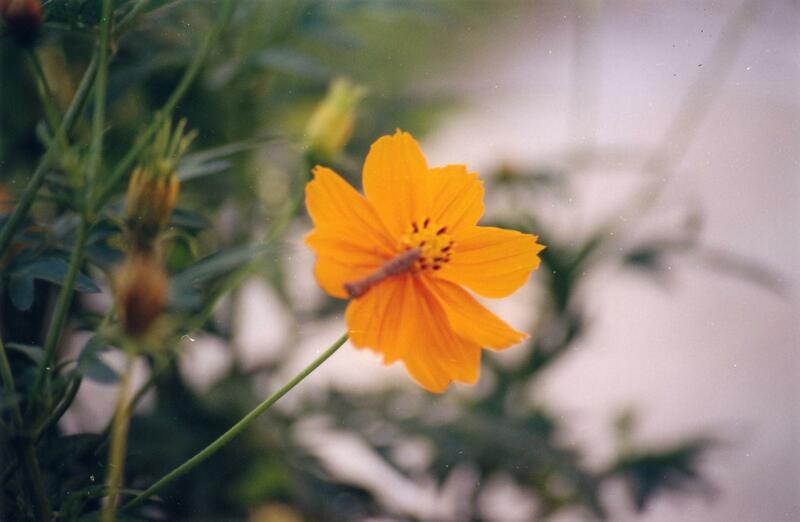 Eyes opened to see beauty all around, her senses awash with awareness, awakening. Feet moving of their own accord, skipping like a carefree child whose heart only has room for love, joy and laughter. His voice calls soft, deep and warm as whispers on the wind. Notes vibrate, resonate and pulsate to her spirit. For the first time in years she feels truly alive. There is no pain, no sadness or sorrow here ~ just sheer exuberance with her Lord. Reality bites as the vision ends. She inhabits a body gripped by pain and wearied by weakness. Follows her Lord down endless drifting, dusty pathways with little signs of colour and light. Lacking refreshment. Desirous of change. But on the inside? Here she sings. Here she celebrates. Here she is free. Walking the royal highway with the King of kings. “I am God of the now. Behold, I am doing a new thing. Can you not perceive it? I am making a way in the desert and streams in the wasteland. Yesterday is gone, tomorrow is yet to come. As you live more in day-tight compartments, so you will find Me being active and become aware of My Presence. Begin each day anew. Let your heart fill with expectancy. Watch and see what I will do. Surrender your hopes, dreams and plans into My hands and trust Me for the outcome. Continue to walk closely with Me and believe that I am preparing the path before you. 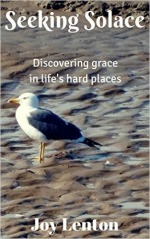 Whether it is strewn with heavy boulders, littered with pebbles or smooth and easy, My hand is in it all. 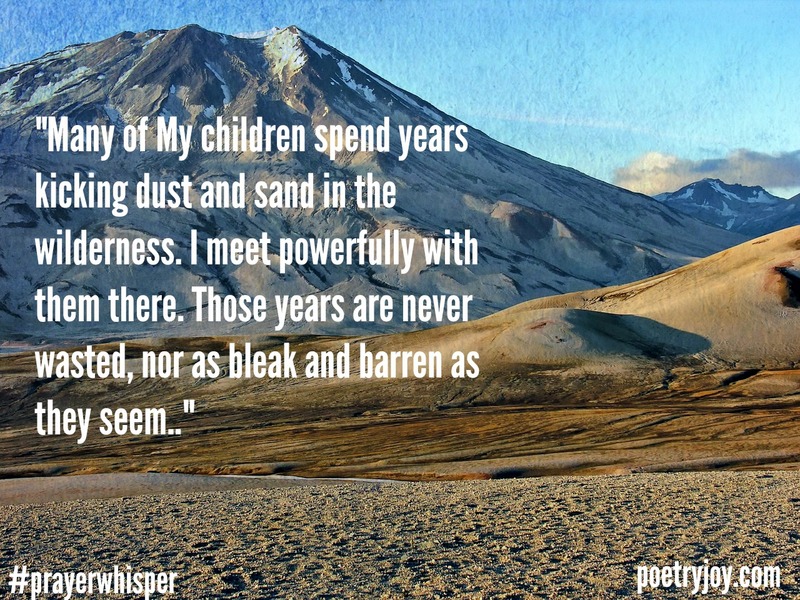 Many of My children spend years kicking dust and sand in the wilderness. I meet powerfully with them there. Those years are never wasted, nor as bleak and barren as they seem. Much fruit develops in arid places when you walk closely with Me. These are growing times, spaces and places in your life. Periods to lie fallow while I prepare you for the next step. May work cannot be rushed. Trust Me to know what I am doing and what I will accomplish in you. A life surrendered to Me is a beautiful thing to bring praise and glory to My Name. And when you emerge out the other side of your valley I will bring you into a green and spacious place, an area of influence and renewed purpose. This was like a breath of fresh air…beautiful! Oh, Joy, amen to that. Let it be so! What a lovely, glowing picture of hope and promise. Thank you for sharing such a precious thing with us. Joy, so glad He met with you in this way. Such a refreshing time, and so beautiful and full of hope and meaning.